The Center for Victims of Torture (Minnesota, USA) works on forging new ways to advance human rights and build a future free from torture. Through research, training, advocacy and healing services for survivors, everything CVT does plays a role in building a larger vision for the torture rehabilitation movement. CVT aims to restore the dignity of the human spirit one survivor at a time. A big part of the work they do is to help build the capacity of organizations that work on supporting and healing trauma and torture victims in countries and post-conflict areas where few mental health resources are available. One of CVT’s initiatives is the Partners in Trauma Healing (PATH) project through which CVT works with nine torture rehabilitation centers around the world – one of them being TPO Cambodia – to expand their ability to provide high-quality mental health services to survivors and to build sound financially stable organizations. This initiative also creates a network of rehabilitation professionals who provide intellectual and emotional support for the difficult work of providing healing services to torture survivors, a network TPO Cambodia is proud of. Thanks to CVT and their Partners in Trauma Healing (PATH) project – funded by USAID and the American people –, our staff and TPO as an organization can learn new and improved ways to provide healing services to torture survivors. 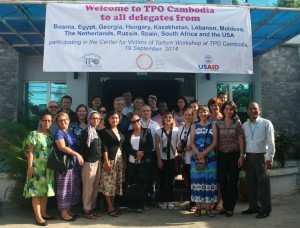 Over a period of 5 years (2011–2015), TPO Cambodia benefits from CVT’s support focused on three areas: mental health treatment and healing, monitoring and evaluation, and organizational development. Partners in Trauma Healing from around the world at the TPO office during a capacity building workshop organized by CVT. The PATH project has provided TPO Cambodia with an experienced psychologist to provide long-term training and mentoring. In addition, CVT’s Treatment and Healing Advisors has been providing consultation to TPO counselors throughout the duration of the project. The PATH project also holds annual clinical training workshops for counselors from each center. TPO clinicians and management staff have been actively participating in these week-long training workshops. 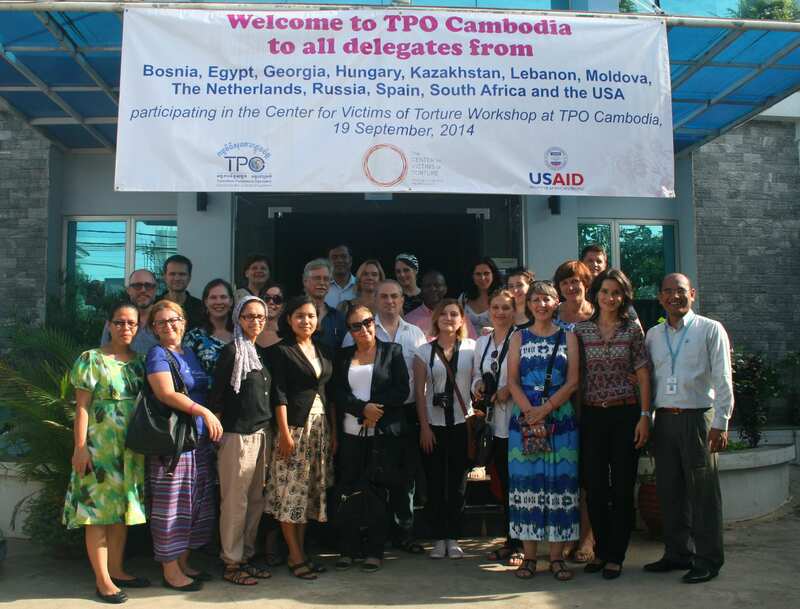 In 2014, the workshop was held in Cambodia and co-hosted by TPO Cambodia. Monitoring & evaluation constitutes an integral part of the work to document torture and provide effective services. The PATH project’s Monitoring and Evaluation Advisors help TPO Cambodia to develop a detailed process for collecting and evaluating data. They also provide us with expert consultations and training. The PATH project Organizational Development Advisor works with TPO Cambodia to help us develop sustainable strategies, enhance management practices and build fundraising skills. If you are after more info from TPO Cambodia about the PATH project and what it means for us and for the treatment of torture survivors in Cambodia, please email admin@tpocambodia.org.